Executive Mosaic’s GovCon Index reversed its morning decline to close higher Tuesday in a second straight session of contributions by mid-tier platform and services contractors against flat or red movements by large defense primes. 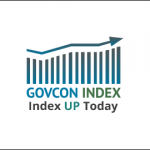 GovCon Index gainers outnumbered decliners by a 4-to-1 ratio and six of its 11 S&P 500 stocks registered gains with Cubic Corp. (NYSE: CUB) the GCI’s overall top net gainer and Harris Corp. (NYSE: HRS) the best performer among co-listed companies. Investor activity among GCI stocks centered around Boeing (NYSE: BA) as the airplane maker dipped as low as 1.3 percent in the session’s first 10 minutes after President-elect Donald Trump tweeted one hour before the open that the U.S. Air Force should cancel the company’s contract to build the next Air Force One. The stock closed up a nominal 11 cents. Cubic, CACI International (NYSE: CACI), Orbital ATK (NYSE: OA), AECOM (NYSE: ACM) and Science Applications International Corp. (NYSE: SAIC) closed as the GCI’s top five net gainers. Lockheed Martin (NYSE: LMT), CGI Group (NYSE: GIB), General Dynamics (NYSE: GD), BAE Systems PLC (over-the-counter) and Rockwell Collins (NYSE: COL) were the GCI’s lone five laggards with L-3 Communications (NYSE: LLL) unchanged. Telecommunications and banking stocks led nine S&P 500 sectors higher with materials and utilities the decliners as investors looked at Labor Department data that showed U.S. productivity rose 3.1 percent at an annualized rate for the third quarter and factory orders in October climbed 2.7 percent. The U.S. Federal Reserve is scheduled to meet Dec. 13-14 as trader expectations are above 90 percent for an interest rate hike and Europe’s central bank is scheduled to post a monetary policy statement Thursday, CNBC reported.